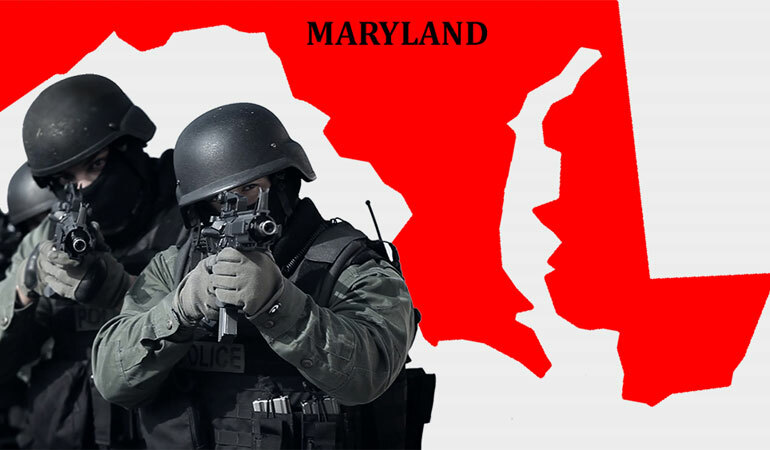 Peaceable gun owners aren’t in a shooting war with state enforcers in this country, but reactions to an early morning shooting death of a Maryland gun owner during the forcible “serving” of a “red flag” gun confiscation warrant has many wondering if they could be next. We also wonder, since we go to extraordinary lengths to be “law-abiding,” why some who wear the shield at times seem bound and determined to alienate us. It’s not like what happened couldn’t have been predicted. Are you surprised? Never satisfied with their last infringement, the gun-grabbers are even pushing to expand the list of authorized snitches to close off what they call the “boyfriend loophole.” That’s a conveniently nebulous term no doubt cooked up by one of Michael Bloomberg’s on-retainer New York ad agencies. Noting the truism about hell having no fury, it might not be a bad idea to remember to call and send flowers -- or to just be more circumspect about potential partners you let into your life in the first place. Do you think it more likely in anti-gun Maryland that state functionaries would deny such a request or “err on the side of caution”? Should this be another automatic #BelieveWomen default, or can we find numerous examples of weaponized false allegations leveled for self-serving motivations? Are presumption of innocence and proof beyond reasonable doubt now judicial relics for a different, non-“progressive” time? What good does it do to disarm someone and leave them free to access whatever weapons or materials they can get their hands on? The greatest mass murders in this country were reportedly initiated with utility knives (9/11), fuels oil and fertilizer (Oklahoma City) and a dollar’s worth of gasoline and a match (Happyland dance club fire). Guns didn’t even enter into the equation, and it is for this reason the contention that anyone who can’t be trusted with a gun can’t be trusted without a custodian holds true. As the story goes, the dead gun owner’s sister had filed for a protective order. Was she right in doing so? Is the piece of paper really a deterrent for someone violent enough to warrant one? And how many times do we need to learn the lesson that you’d better not summon the state into your home unless it’s truly your last resort, because they’ll bring with them an up-to-lethal force continuum they’re trained to escalate when not immediately obeyed. It’s not like Sheriff Andy knocking on the door and saying “Floyd, we need to talk,” is it? So the cops were primed. And what better way to defuse a volatile situation than to pound on a door in the wee hours when it’s still dark and scare the hell out of someone you have reason to believe is armed? That doesn’t seem unreasonable on his part – especially considering that, per Neighborhood Scout, Ferndale is listed eighth “safest” out of 10 Glen Burnie-area neighborhoods, and the area is given an overall safety rating of “10” with 100 being safest. I’d be inclined to be cautious opening the door myself under such circumstances, wouldn’t you? And even if police identified themselves, I’ve documented numerous cases of criminals posing as police officers -- for years -- on my WarOn Guns.com blog. What happened next is something we’ll need to rely on the officers for. Was there a struggle? Did Willis fire his gun? Was it intentional or a result of being grabbed? Did the officers have no choice? They get the same presumption of innocence we’d give the gun owner. For all we know, he was a really bad apple, albeit a niece described him as outspoken but “harmless.” But for all we know, they are (it’s not like an internet search for “Maryland police corruption” comes up dry). What we do know is what some of us have feared—that such laws will increase tensions and danger in citizen encounters with police. And something we all need to keep in mind is that, anonymous internet comments of “Molon Labe!” and “From my cold dead hands” notwithstanding, shooting it out with trained SWAT operatives is often not as conducive to ultimately prevailing in a situation as compliance. Remember the Patton quote alongside available legal options and counterstrike afterward with advice of counsel if subjected to injustices. Admittedly, you could still be executed and your killer exonerated even if literally crawling, crying and complying, as happened in an Arizona hotel hallway when Officer Phillip Mitchell Brailsford shot 26-year-old Daniel Shaver to death (“Google” the names if you don’t recall the story). Assuming you do have options, the important thing is to do what you can with things under your control to live to fight another day. If you don’t have options, nothing can guide you but your conscience, training, experience, skill, equipment and will. In a perfect world, there would be harmony between peaceable citizens and those who take an oath to protect and defend the Constitution. The “progressive” mandarins deploy their enforcers to make sure their diktats are obeyed, not to put their lives on the line to ensure rights are observed. And prior restraint/due process-denying edicts like so-called “red flag laws” only increase the likelihood of further conflict between cops and gun owners who believe rights are supposed to be unalienable. Chief Timothy Altomare said the fatal shooting in Ferndale was a sign that the law, which went into effect Oct. 1, is needed. What do you think the odds are that Chief Tim wouldn’t get the courtesy of an apologetic heads-up if a disgruntled relative decided to bad-mouth him? David Codrea is the winner of multiple journalist awards for investigating / defending the RKBA and a long-time gun owner rights advocate who defiantly challenges the folly of citizen disarmament. In addition to being a field editor/columnist at GUNS Magazine, a featured contributor to AmmoLand, contributor to Firearms News website and magazine, and associate editor for Oath Keepers, he blogs at “The War on Guns: Notes from the Resistance” and posts on Twitter: @dcodrea and Facebook.